NFL training camps are in session, and the 2015 regular season is set to kickoff in less than two months time. This is the time of year where expectations are still soaring through the roof among NFL franchises and their fan bases. Free Agency, the NFL Draft, and Organized Team Activities are all in the books, and every team around the league has their sights set on Super Bowl 50. Despite the high levels of optimism floating around, the simple truth of the matter is that there are several teams around the league that are being overrated by the media and the oddsmakers in Las Vegas. The reality of the situation is that there are only a handful of teams – no more than five – that have a realistic shot at competing for the Lombardi Trophy in 2015. In this article we are going to give you our list of the five most overrated teams in the league heading into the 2015 season. We considered multiple factors in compiling this list including 2015 offseason acquisitions, Pro Football Focus team grades and rankings from the 2014 season, 2014 regular season records, and lastly, strength of schedule for both the 2014 and 2015 seasons. Our list isn’t entirely objective, but we believe that you will find it to be extremely accurate by the end of the upcoming season. 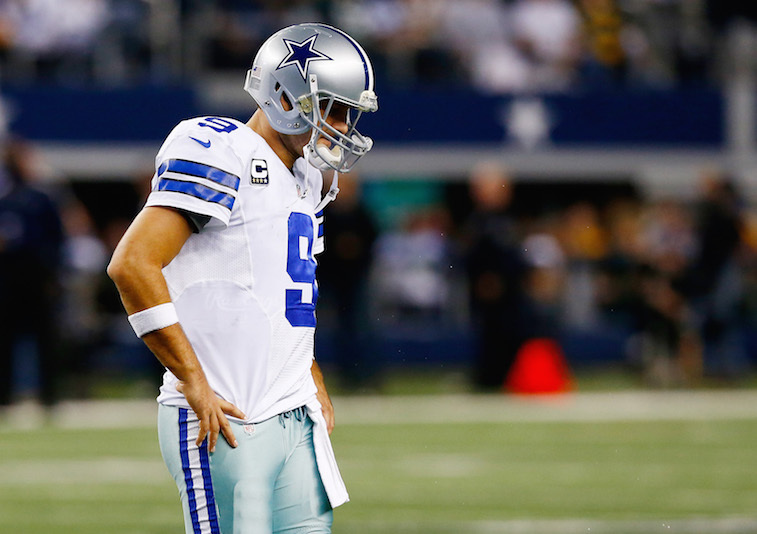 Without further ado, here is a look at the five most overrated teams heading into the 2015 NFL season. 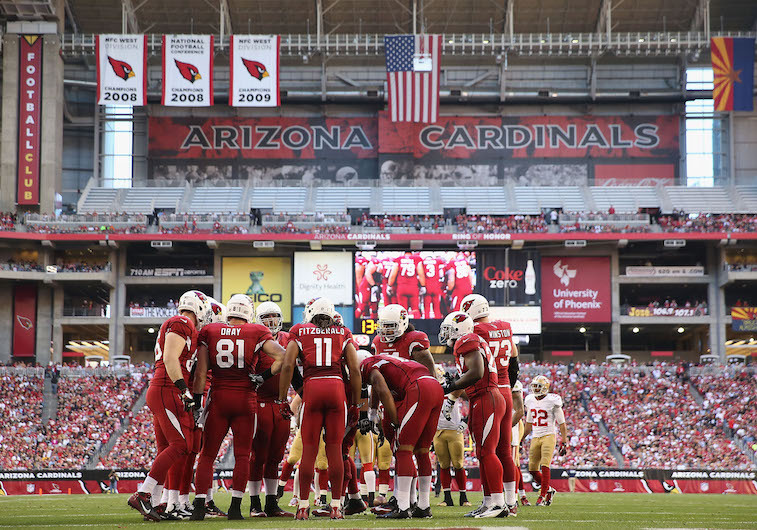 The Cardinals were one of the surprise teams of the 2014 season. They were able to post an 11-5 regular season record and earned a spot in the NFC playoffs despite losing starting quarterback Carson Palmer to a torn ACL in Week 10. Their defense was staunch a year ago, giving up only 18.7 points per game in 2014, and most of that unit will be back in 2015. Palmer’s return will also be beneficial for Bruce Arians’ squad, but there is no escaping their 2015 schedule, which ranks as the fifth most difficult in the league heading into the season, and the fact that they failed to adequately address their need at running back. Don’t be surprised if the Cardinals are a .500 or worse team this year. For most of the offseason, the Dolphins have been among the trendy picks to be one of the surprise teams of the 2015 season. They were, after all, one of the most active teams in the league during free agency, signing impact players such as defensive tackle Ndamukong Suh, tight end Jordan Cameron, and wide receiver Kenny Stills. 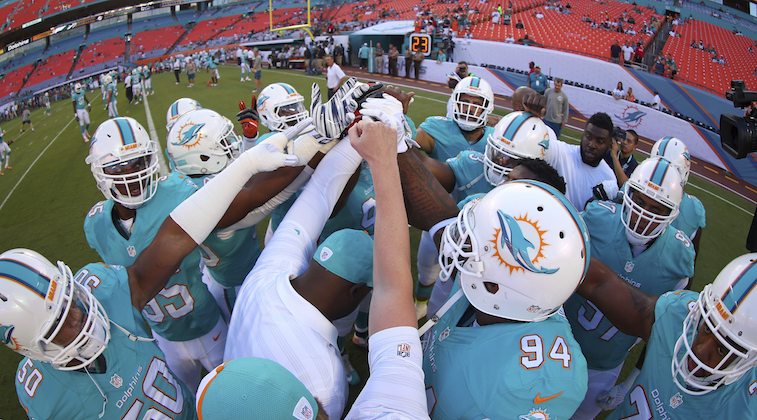 With the addition of Suh, we firmly believe that their defense will be a top-five unit in the NFL in 2014. That being said, their potential for improvement on the offensive side of the ball still leaves something to be desired. Count us among those who simply don’t see Ryan Tannehill as a playoff-caliber quarterback, and unless rookie wide receiver DeVante Parker can fill the role, the Dolphins still don’t have a true No. 1 wide receiver. On top of that, the team is putting a lot of trust in Lamar Miller to be their workhorse running back in 2015 – something that the 24-year-old has yet to prove he can handle during his three years as a pro. At the end of the day, we would be stunned if the Dolphins are able to knock the New England Patriots off of their AFC East throne. In perhaps the smartest move Jerry Jones has made during his tenure as the owner and General Manager of Cowboys, the 72-year-old billionaire took the advice of his scouting department and selected offensive guard Zack Martin passed on quarterback Johnny Manziel with the team’s first round pick in the 2014 NFL Draft. The addition of Martin elevated the Cowboys’ offensive line to the point of being the best in the entire league, which in turn led to running back DeMarco Murray rushing for 1,845 yards en route to winning the 2014 NFL Offensive Player of the Year award. More importantly, Dallas’ dominating running game took loads of pressure off of quarterback Tony Romo, who had his best season as a pro in 2014.We envision a different outcome in 2015. Murray signed with the Philadelphia Eagles during free agency, and very few people outside of the Cowboys’ locker room truly believe that Darren McFadden and/or Joseph Randle have what it takes to pick up where Murray left off. On top of that, there is very little reason to believe that they will be a better team, defensively speaking, in 2015. They signed All-Pro defensive end Greg Hardy, but he is facing a lengthy suspension. They used early picks on cornerback Byron Jones and defensive end Randy Gregory, and while both are immensely talented prospects, neither of them has proven that they can excel at the NFL level. Expectations around Cowboys’ headquarters are sky-high heading into the 2015 season. We think they are going to leave their fans disappointed. 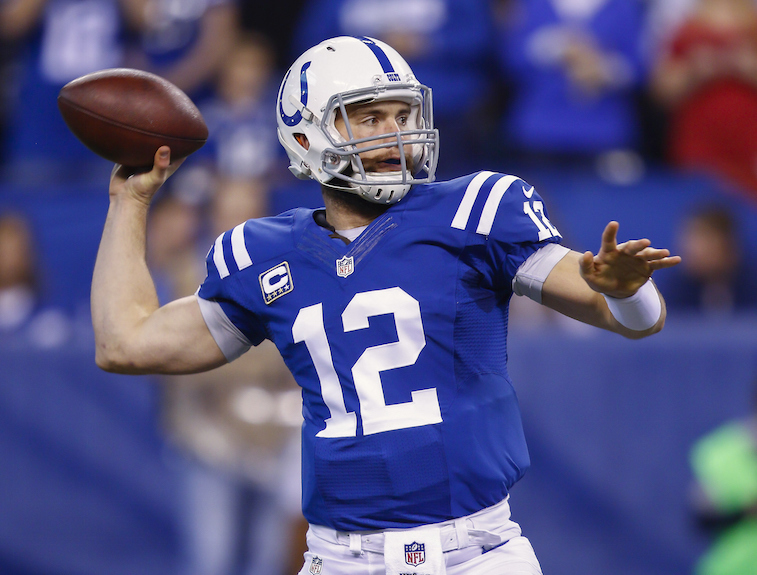 The Colts have the best young quarterback in football and are coming off of a surprise run to the AFC Championship Game in 2014. This offseason, they capitalized on having money to spend in free agency by signing running back Frank Gore, wide receiver Andre Johnson, offensive guard Todd Herremans, and defensive end Trent Cole. Their additions look nice on paper, but as history has shown on multiple occasions, adding big-name free agents who are at the tail end of their careers doesn’t always work out. Also, let’s not forget that during the Andrew Luck-era, the Colts have had the major advantage of playing in the AFC South, which is one of the weakest divisions in the league on a yearly basis. Knowing this, we aren’t buying the hype the Colts are serious contenders in the AFC this season. There is no denying that the Chiefs were excellent on defense and special teams in 2014. 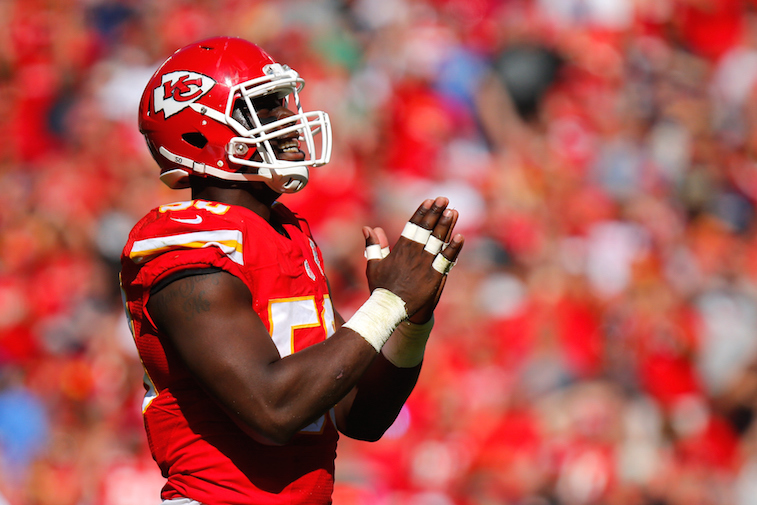 Their performance on the offensive side of the ball was a whole other story, and unfortunately for the Chiefs’ faithful, we don’t anticipate much improvement in 2015. Running back Jamaal Charles is one of the most explosive players in the league when he’s healthy, and free agent signee Jeremy Maclin should be an instant upgrade at the wide receiver position. However, questions remain at both quarterback and on the offensive line. Alex Smith will return as the team’s starting quarterback, and we just don’t believe he has what it takes to lead Kansas City back to the postseason. The Chiefs will enter the season with the eighth-hardest schedule for the 2015 season, which has us foreseeing them finishing the season on the outside looking in at the AFC Playoffs.